Ryan Brushett scored a pair of goals 17 seconds apart, leading the Kings to four goals in 8:28 as Powell River staved off elimination with a dramatic third period comeback on Saturday night at the Hap, in front of 1277 fans. A tense opening passage saw Powell River out to the early advantage in shots, but any chance on goal was turned aside by Kurtis Chapman in net for Victoria. Early opportunities went to Levi Glasman on a wrap around past a stranded Chapman, and a point blank chance for affiliate Nic Porchetta, but neither found their way on net. Into the second and both goaltenders continued to be the story. Both Chapman and Mitch Adamyk making key stops to preserve the scoreless game. Victoria finally broke the deadlock in the final moments of the second period as a shot snuck through Mitch Adamyk and sat in the paint behind him, eventually poked home by Henri Schreifels for his 1st of the playoffs and a 1-0 Victoria advantage. 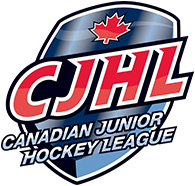 Powell River continued to carry a bulk of the pressure, boosted by a five on three in the opening stages of the third period however Chapman continued to remain strong in net. The dam finally burst midway through the frame as Ryan Brushett carried down the left wing, changing directions and dangling through a couple of Grizzlies players before sniping high over the shoulder of a screened Chapman for his 4th of the playoffs and a 1-1 game. On the very next shift, the Kings got their first lead as Brushett drove the net and pushed home a puck in tight for a pair of goals 17 seconds apart and a 2-1 Kings lead. 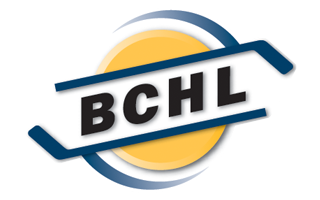 Mitch Williams gave Powell River insurance, a goal that stood as the game winner with Williams advancing the puck along the right wing for Levi Glasman to have a chance on goal that Chapman stopped, but the rebound spilled to the slot where Williams was able to find it for his 4th of the post season. Teams traded goals late as Alex Campbell got Victoria back, but Neal Samanski iced it with an empty net goal from the Powell River zone and a 4-2 victory in game 6. Ethan Kimball and Brock Sawyer joined Alex Rawnsley for the Facebook Live Postgame Show. Join Brock Sawyer, Ethan Kimball and Alex Rawnsley for the post game show after a stunning game 6 win at the Hap Parker Arena. For the second time in three years the Island Division Final will be settled in a game 7 in Victoria. Puck drop is 7:00pm on Monday from the Q Centre. The winner of that game will then travel to Prince George to open up the third round against the Spruce Kings on Friday night.